Each kilometer walked holds a special memory. Beautiful scenery, interesting people, monuments that have marked the centuries welcome you as you pass by, all adding to your journey inviting you to reflect on life and inspire you to feel more, open up to the new that is meant for you. No matter how far you have walked the camino experience transforms and finds its way into the deepest part of you holding a very special place and for most a continued desire to return again and again. 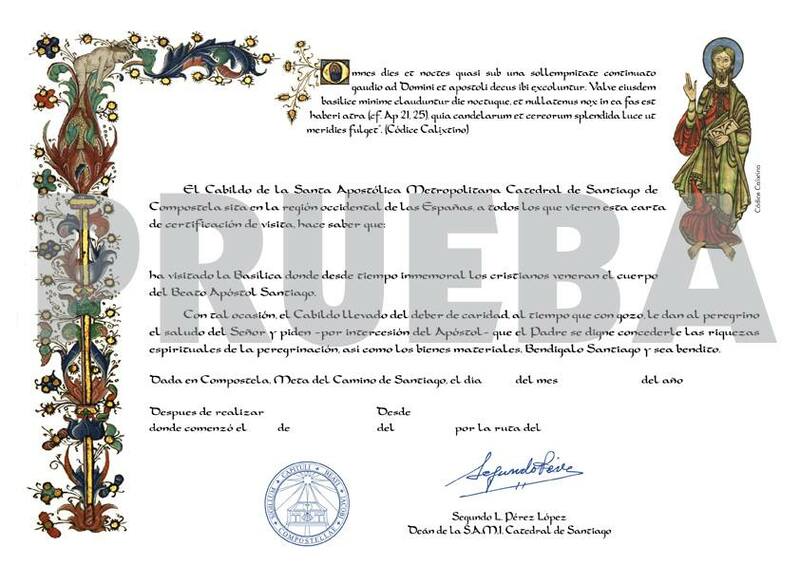 Now you can receive another keepsake of the camino a compostelana or certificate that marks the camino traveled, starting point, date, and the distance journeyed. Available for 3 euros when you arrive Santiago and visit the pilgrims office and welcome center. Thank you to Johnniewalker Santiago for making your facebook post and letting us all know of the new Compostela – another camino keepsake to treasure! This entry was posted in Camino Travel Tips and tagged camino, Camino de Santiago de Compostela, culture, pilgrims office, Santiago de Compostela, The Way, The Way of St James, traditions. Bookmark the permalink.